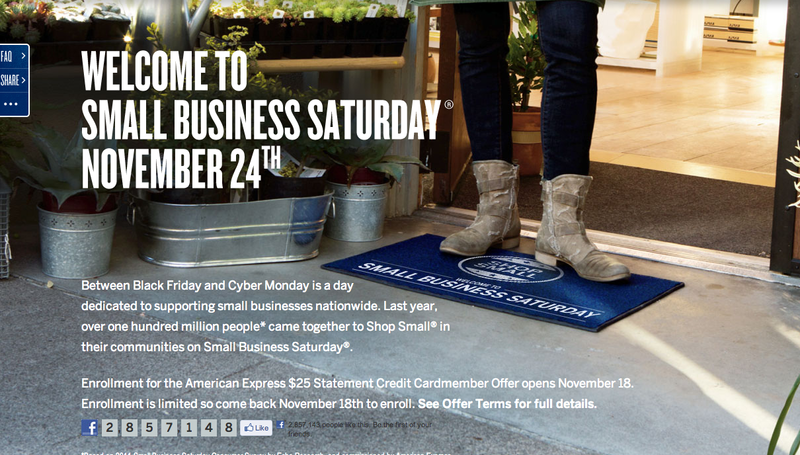 This is the flyer AMEX released for its 2012 Small Business Saturday event. For those of you who are already familiar with Amex small business Saturday, I’m sure you had to do a double take at the title. Unfortunately there isn’t an Amex SBS in March, but there is some planning to be done. Everyone in the miles and points game knows its all about planning. Let me start off by explaining what SBS is. For the past 3 years, Amex has designated the Saturday in November following Black Friday to be small business Saturday to promote local and small business’. One way they’re helping is by allowing their card holders to receive a $25 credit at small business merchants. All you have to do is register your card with them & viola, free $25 statement credit when you spend $25 or more at one time on small business Saturday. This is probably one of the best promos out there. Now back to the planning and why I’m evening posting about a November deal in March. Here’s part of the deal, every Amex personal and business card is eligible for the promo as long as the card has a unique number. That includes your additional users for cards issued directly from Amex! Now I’m not telling you to go sign up for your entire family and dog as additional users. But if you have a spouse you share expenses with it only makes sense to add them to the account (or anyone else for that matter). If you wait until November and call Amex to add 3 AU’s on all 5 cards you have with them, Amex may open a financial review on your cards, which will cause them all to be frozen (possibly over SBS), and you’ll miss out on the opportunity to participate. You obviously don’t want that so if you want to maximize this deal, slowly add AU’s that make sense to your Amex cards from now until November, and register them all when Amex releases the registration link SBS 2013.